Earlier in the year, I started doing gratitude projects to celebrate the people and things in my life I am grateful for. Then, we hit December and the tragedy in Newtown happened. 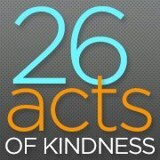 Out of the ugly wretchedness of that situation has come Ann Curry's 26 Acts of Kindness campaign. 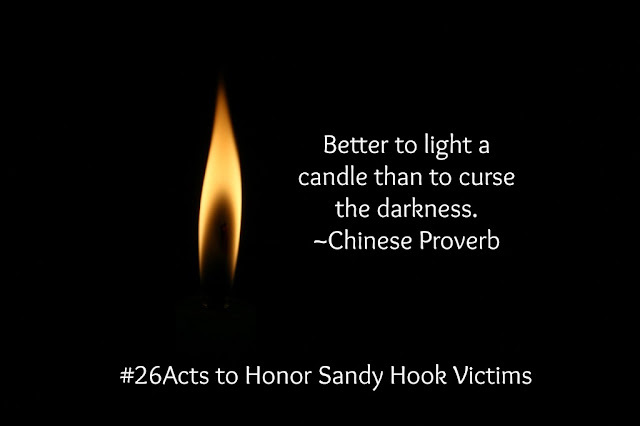 Over the holidays, many of my friends either did random acts of kindness to honor the victims of the shooting or started to make plans to do something in the new year. After visiting Newtown to pay my respects, I started my 27 (added one for Nancy Lanza) acts and have decided along with several people I know to make this a regular thing. I hope you'll consider doing the same. Let's spread love and kindness in 2013. Be blessed.